Boston Broken Bone Lawyer | FREE Consultation! Broken bones can be painful, expensive, and cost you time at work. Hold the person at-fault for your injury responsible with help from a Boston broken bone lawyer. Broken bones are easily some of the most common injuries seen throughout America. From car crashes to construction accidents, a broken or fractured bone can happen virtually anywhere and at any time. Many of these accidents are caused by negligence—and the fault often lies with someone other than the injured party. If you you’ve suffered a broken bone due to someone else’s careless behavior, you are not to blame, and you may have grounds for a personal injury case. A Boston broken bone lawyer at Joel H. Schwartz, PC can answer your questions and help you determine how best to proceed. How Can a Broken Bone Be a Personal Injury Case? Personal injury cases are legal actions in response to one person or entity causing someone else physical or emotional harm by way of negligent behavior. 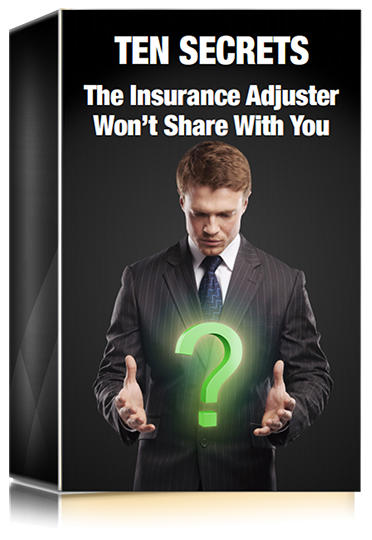 Many cases can be settled with insurance companies and never require going to trial. However, heading to court may become necessary to get you the financial award you deserve. Consulting with a Boston broken bone lawyer gives you your best shot at winning. While many bone breaks are excruciatingly painful, it’s possible to break a bone without knowing it. Signs that point to a fracture are compromised range of motion, bruising, tenderness, and swelling. Your injury site might have a strange appearance. You may be unable to stay asleep due to pain or general malaise. Of course, sharp pains and anything that looks like it is poking out of the skin are clear signs that something is very wrong and you should visit a doctor immediately. While casts, slings, and traction used to be the order of the day for broken bones, surgically applied pins, plates, and screws are often used to treat fractures and breaks today. Trading wet plaster for surgery and anesthesia can lead to greater recuperation time—not only because of the injury but because of the surgery. There is also the chance at complications arising from infections, rejection of the metal objects, catching staph infections at the hospital, and more. Should any of these complications affect your injury, a Boston broken bone lawyer from our office will make certain your settlement factors in the additional damages. Complications of broken bones are detailed here to help you watch for warning signs and also to demonstrate that you should not rush to accept the first offer an insurance adjuster makes. Should you take what they suggest, and then a few months later you find that your bone has healed incorrectly and you need surgery, you could be on your own to cover costs. Also, no insurance company will be eager to pay you what you deserve because they are most concerned with saving themselves money and increasing their own profit margins. Getting them to agree to higher settlements takes the experience of a Boston broken bone lawyer. If you feel that the site of your fracture is getting more painful and swollen and you have a fever, you should get checked by your doctor for a bone infection. In children, signs are similar with the addition of lethargy and crankiness. Osteomyelitis is caused by bacteria, mycobacteria, and fungi. This should be treated immediately as it can cause swelling around the marrow and can cause parts of the bone to die. The infection can be cured with antibiotics, and if that doesn’t work, surgery might be needed to remove damaged tissue. Infection could be the result of medical malpractice or a complicating factor at the time of your accident. Your Boston broken bone lawyer will help you pinpoint what the infection’s cause was. For over fifty years, Joel H. Schwartz, PC has helped our clients win personal injury and broken bone cases of all types. We don’t want you to accept a smaller settlement than what you truly deserve. Call us today at 1-800-660-2270 and find out why the people of Boston have counted on our services for over half of a century. The consultation is free with no obligation. If you can’t talk right now, simply fill out the form on this page and someone from our office will be in touch at your convenience.